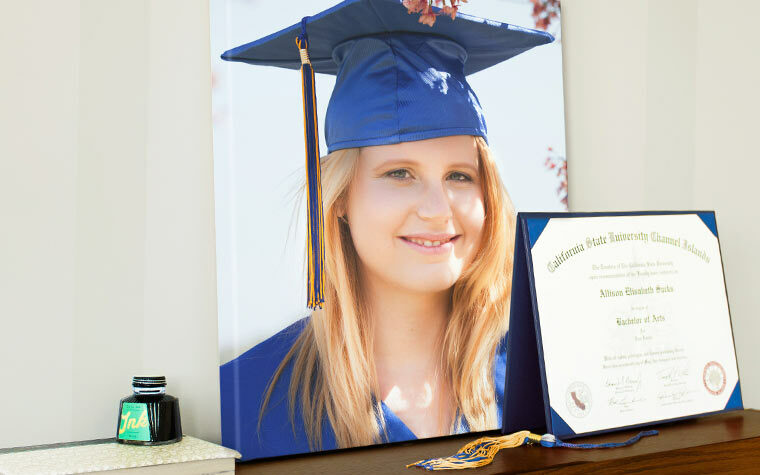 Congratulate the grad in the best way possible with Graduation Canvas Prints. Decorate any space with photos of your pride and joy on their big day. Our Graduation Canvas Prints make great gifts that family and friends will appreciate for years to come. Give it to the grad themselves for a future reminder of how much they've accomplished. Graduation Canvas Prints have impeccably high quality so special memories last forever.